Karbonz by Knitter's Pride combine a high-tech carbon fiber base with electroplated brass tip for a knitting experience like no other! 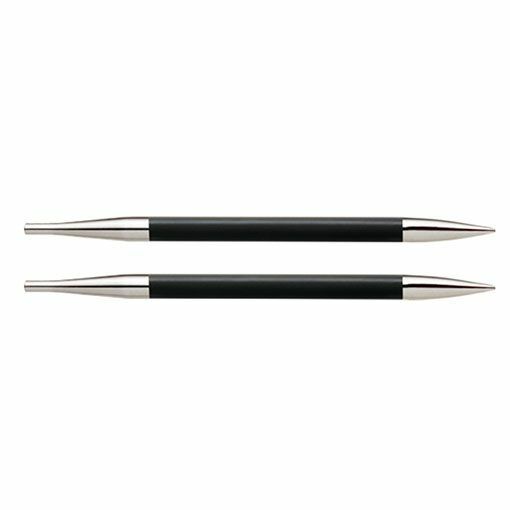 This interchangeable knitting needle tip is perfect for the knitter that likes the stitch grip of bamboo but is looking for the ease of slipping stitches gained from a metal needle. The carbon fiber base is lightweight, flexible, and warms to the touch while in use. 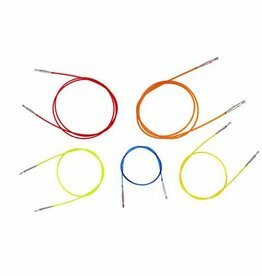 The Karbonz are compatible with the color coded Knitter's Pride Interchangeable Cords. 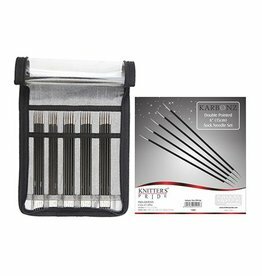 This pack includes interchangeable needle tips - cords sold separately. This is a set of 2 interchangeable 4.5" tips - cords sold separately.